Friends in Christ, today is the Feast of St. Alphonsus Liguori. St. Alphonsus was born in 1696, and he is the founder of the Redemptorists. St. Alphonsus said, when we think of the love our Savior has for us, in all that he suffered, our love for him should make us desire to suffer and even die for him. ‘Saints, he says, are either martyrs of the sword or martyrs of patience. Well, we can at least become martyrs of patience. The wonderful life of St. Alphonsus was one of extreme patience. 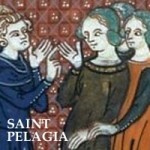 Although he is considered one of the greatest moral theologians, there are few saints who suffered as much as he. When only 52 years old, he contracted a violent asthma that stayed with him his whole life. Two times he was given the final sacraments & funeral preparations were made, but his life continued. At age 72 he contracted arthritis. It went to all his joints and to his spine. His head became so bent over, that his chin rested on his chest, and his beard against his skin produced a bleeding wound. He was so hunched over when he walked, that if someone looked at him from behind, it looked as if he did not have a head. He could not lie down, nor dress nor move, nor rest, but remained seated in an arm chair day and night. For 19 years he could not raise his head. It was while he was in this terrible state of health, that terrible divisions erupted within his beloved Redemptorist Order. His friends, full of envy even turned against him. Unable to defend himself at age 84, his reputation was dragged through the mud, and even authorities in Rome came to believe his enemies. Powerless, he was expelled from his own order. Only after his death did the truth come out. Yet in all this he was the model of patience and kindness. But there is more. He lived the Dark Night of the soul for 60 years, with no consolations. Prayer felt undesirable, devotion lacking. But his trust to the end was in Jesus and Mary, and with his pen he soared to the heights of love. It is interesting, that even at age 54, his health was so poor, that he thought he would not live much longer. 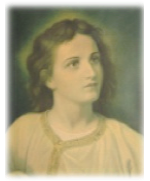 Thinking the end was near, he wrote his most beautiful book: the Glories of Mary. There he says: ‘Let us love Jesus and Mary, and become saints. ‘Farewell then, until we meet in Paradise. Thinking that he would soon die, he did not know that he still had 40 more difficult years to live, and his beautiful writings would multiply. St. Alphonsus is the patron saint of confessors and of those who suffer from arthritis.